Today we met up with some bat experts to talk about plans for DKH Open Space. 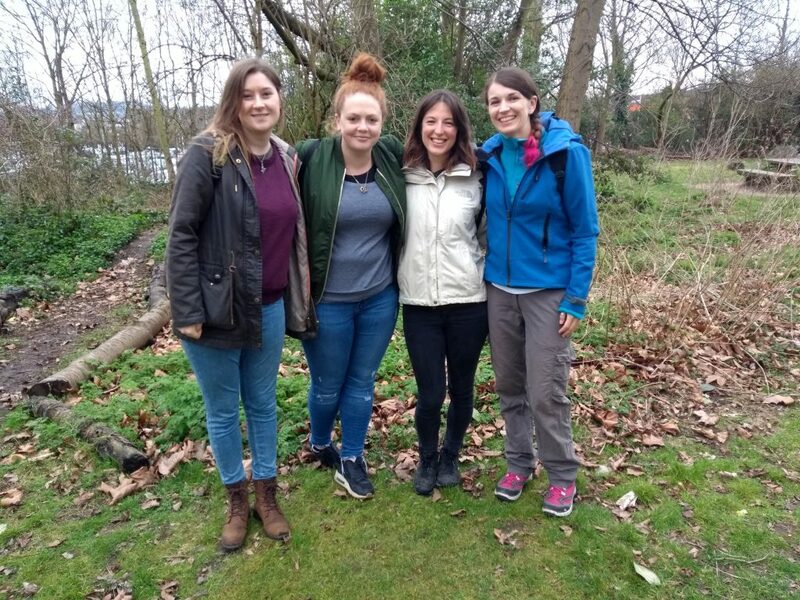 Jo Ferguson from the Bat Conservation Trust, Alison Fairgrass and Becky Wilson both from the London Bat group kindly walked round and discussed ways we could improve the habitat for bats. The first thing we need to do is to follow the recommendations in Huma Pearce’s 2012 Bat Survey Report. Many of the bat boxes in the wood are not in ideal places and we should re-locate the boxes so that bird boxes are facing North, where it’s cool, and bat boxes should face South where it is warmer. Bats like to roost somewhere warm, but they like hibernating facing North. 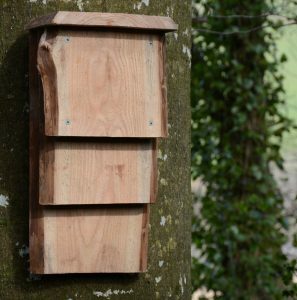 We should also pair up a bird box with a bat box so that when birds move into the bird box, they defend their territory against other birds, which means no birds will move into the paired bat box, leaving it free for bats to move in. The best time to do this moving around is in Winter or before May at the latest, before the breeding season. Apparently Schwegler bat boxes are not actually liked that much by bats and on the whole they prefer a Kent bat box, which is made of wood. 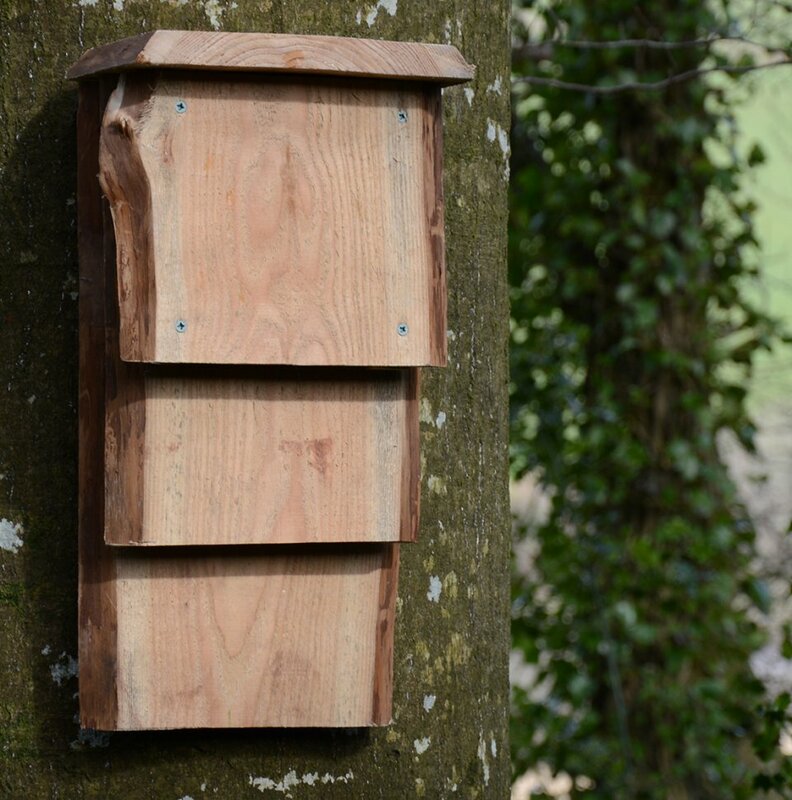 Jo said she would look into the possibility of installing some Kent boxes in the wood – we already have 3 wooden bat boxes in the open space. We should get the Schwegler ones inspected in Autumn by a licensed bat inspector. The Kent ones are easier to look into with a torch and can be inspected in the summer. Only people with a bat license can inspect boxes, or trainees can do it as long as there is an instructor present. We talked about the possibility of putting up some Kent boxes facing north and then seeing if anything hibernates in them. Just walking around the Open Space and wood, the bat experts pointed out many good bat pots for roosting: the roofs of the adjacent council blocks, the hollow tree in teh park and the “wild area” all looked like good places for bat activity. Jo is also happy to run a bat walk in September, which is great as we’ve not had a proper one for a few years. Our next steps are to find a tree surgeon who can shin up the trees and move the bat boxes. Jo will be there so that she can open the boxes and see if there are any signs of bat activity. Many thanks to Jo, Alison and Becky for their time, knowledge and enthusiasm. We look forward to finding out more about our local bats in the future.